Jalen Nailor was the team’s top receiver in 2016, but he’s also starting at safety for the Gaels this season. He and the rest of the team’s inexperienced secondary will be tested when Gorman (1-0) plays top-ranked Mater Dei (California) at 7:30 p.m. Friday. One of the keys to Bishop Gorman’s run of football success has been its depth, with players rarely seeing time on both sides of the ball. But one of the keys to success this season may be having senior Jalen Nailor play both ways. Nailor was the team’s top receiver in 2016, but he’s also starting at safety for the Gaels this season. 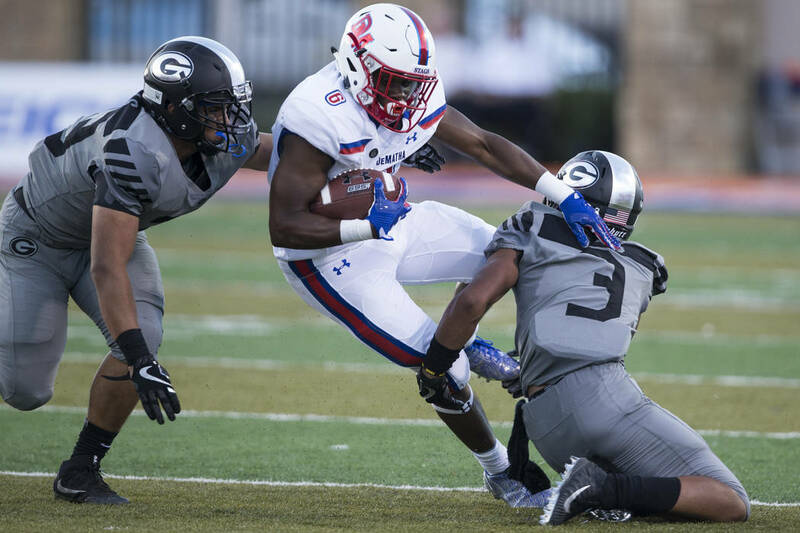 He and the rest of an inexperienced secondary will be tested when Gorman (1-0) plays top-ranked Mater Dei (California) at 7:30 p.m. Friday at Santa Ana Stadium in Santa Ana, California. The game will be broadcast on Fox Sports Prime Ticket. The 6-foot, 180-pound Nailor has committed to play receiver at Arizona State. He made plays on both sides of the ball in the team’s 35-23 win over DeMatha Catholic (Maryland) in the season opener. Nailor caught three passes for 88 yards, including a 68-yard TD reception. On defense, he had a team-high eight tackles. 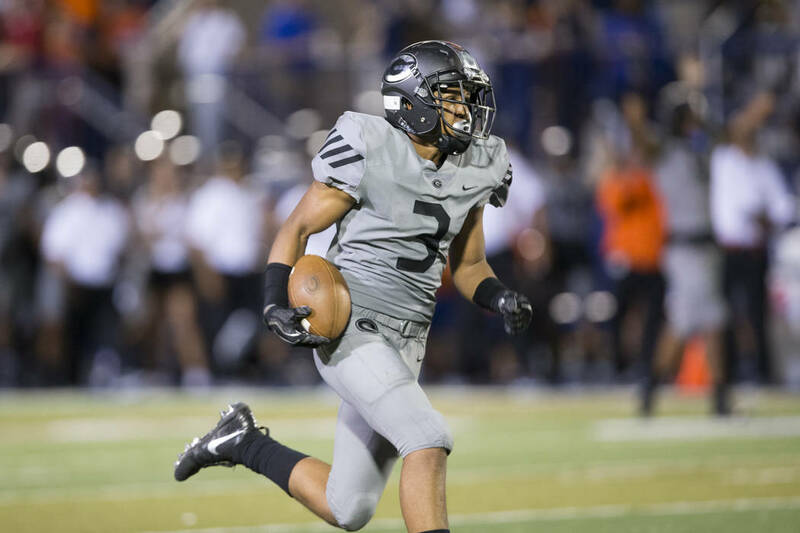 Gorman returned no experienced players in the secondary with the graduation of Bubba Bolden (Southern California), Alex Perry (Arizona State) and Greg Francis (UNR). The team dismissed Greg Oliver, who would have been the lone player back. That forced the Gaels to use Nailor at safety. Nailor joins seniors JoJuan Clairborne and Noah Lopez and junior Kyu Kelly as starting defensive backs. They face a huge challenge this week against Mater Dei quarterback J.T. Daniels, one of the top juniors in the nation. Daniels, who has committed to Southern California, completed 16 of 23 passes for 179 yards and a touchdown in the team’s season-opening win over Bishop Amat (California). The Gaels also will be playing another televised game against a nationally-ranked opponent. Senior linebacker Palaie Gaoteote, who has committed to Southern California, said those kinds of games are nothing new for the team’s experienced players. The Gaels are ranked No. 3 nationally by USA Today, so they have a little extra motivation as they seek a fourth consecutive mythical national title.